1.7 acres of lakefront paradise to build a single massive estate, or to develop as 3 lots. As an assembled parcel of 3 individual lakefront lots, the municipal address of 1120 Westdale Rd. offers both of these extraordinary options. Amazing and unobstructed sight lines on this property offer views from the Toronto skyline to the twinkling lights of the St. Catherine’s shoreline. A full 274 feet of waterfront, located among the custom homes and winding roads of the prestigious Baillie Estates. 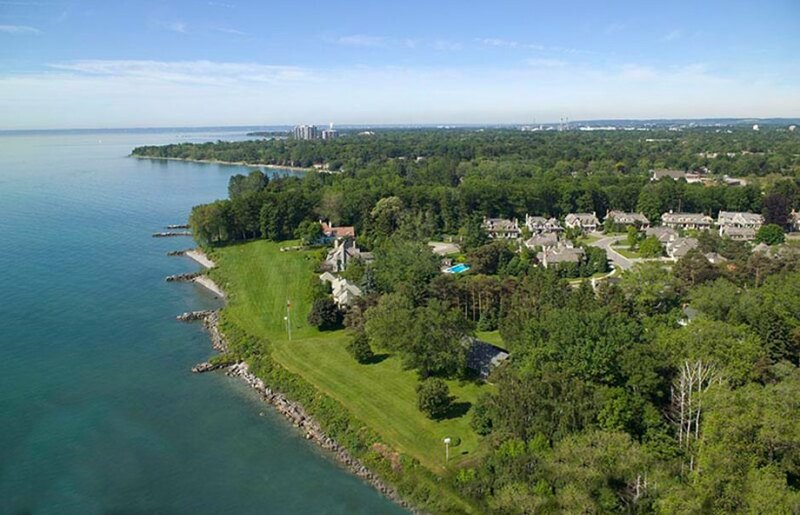 Short distance to Downtown Oakville shops and restaurants and both of Oakville’s harbours and marinas. Up to date surveys available as well as development studies by William Hicks. With an application for re-assembly, build one large residence up to 27,000 sq ft and maintain the Riparian rights (approval by the town is required). There are precious few lots left in Oakville which can accommodate an estate home of this magnitude. Lakefront lots on which such a home can be built are even more scarce, making this an undeniably rare opportunity. This property is comprised of three individual lakefront lots which may be developed, as outlined below. 1128 Westdale Road, 121.46’ x 341.47’ (irregular): This is the most westerly lot, comprised of approximately 28,384 sq ft. It would allow for a home of approximately 7,986 sq ft. Also for sale individually for $2.6M All build-able areas must be verified as zoning bylaws may be changing. Contact Don Goodale or Brad Miller for site-specific details and appointments to view the property.